I will point out here, that the Surface Book is Microsofts first laptop and must not be confused with the Surface Pro, which is a competitor to the iPad. After the success of the Surface Pro 3 and now Surface Pro 4 this seems like a natural step for Microsoft to deliver a laptop. Microsoft are so well known for their Windows 10 OS and although they have been making gaming consoles for many years this is their first move in to the laptop market. The MacBook Pro is a force to be reckoned with, in the laptop world and stands out as leader. With the new Surface Book, Microsoft are changing the rules for laptops. The Surface Book has a smart hinge and 13.5” touch screen PixelSense display, combined, these aspects mean that the Surface Book can be converted and used as a (rather large) tablet as well as a laptop. The Apple MacBook Pro Retina 13” was refreshed mid last year, therefore we have no update on the horizon, who knows if they will release a competitor anytime soon, if ever. The look of each device is very similar. They are both silver and the Surface Book is slightly taller but is narrower and they weigh the same. The screen size of the MacBook is slightly smaller at 13″ and although has a retina display screen with resolution of 2560×1600, the Surface Book is 18% sharper with a resolution of 3000×2000. The PixelSense display can determine if you are using the pen or your finger. The pen comes as standard within the purchase price, unlike the iPad Pro. the settings will carry over when synced. The MacBook Pro does not offer Siri as it does on it’s iOS devices. Apple OS X is fantastic and if you have an iPhone does give you to opportunity on your MacBook as well as your phone. The fact that the size is similar is even more impressive, when you hear the difference in processors. 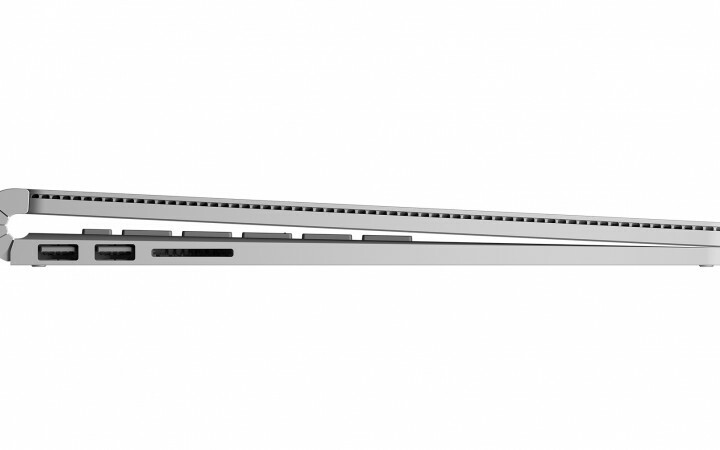 The Surface Book has a 6th Gen Core i5 or i7 Skylake processor in comparison to MacBook’s 5th Generation processor. Microsoft are claiming this is 50% faster than the MacBook. Both devices claim to have 12 hrs battery life and can be purchased with 128, 256, 512GB or 1TB storage. 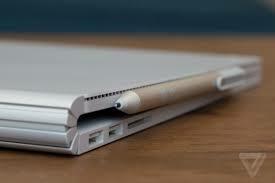 The Surface Book has a rear camera which is an aspect tablets rather than laptops usually contain. 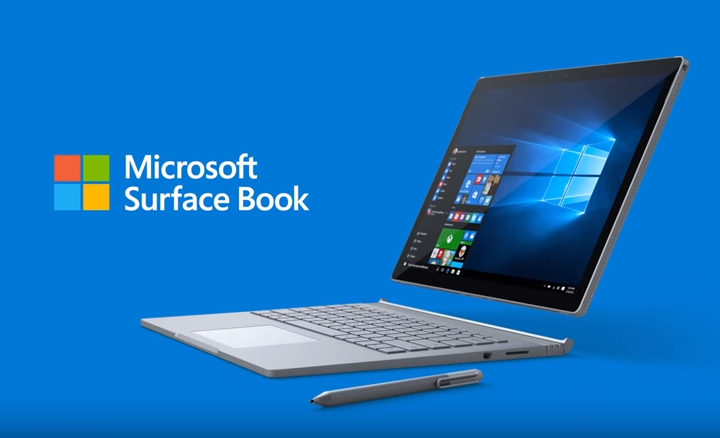 The front camera of the Surface Book, also contains facial recognition technology which can be used for secure log on. Both have a back lit keyboard, although the keys of the Surface Book are each lit separately. Surface Book is more pricey then the MacBook Pro by nearly 20% though. We offer the Surface Book with Inter Core i5 and 256GB starting at £14.30 per week and the MacBook Pro with 5th Generation i5 processors and 256GB starts at £10.45 per week. The biggest difference between the two is the hinge technology and detatchable tablet nature of the touch screen display of the Surface Book. 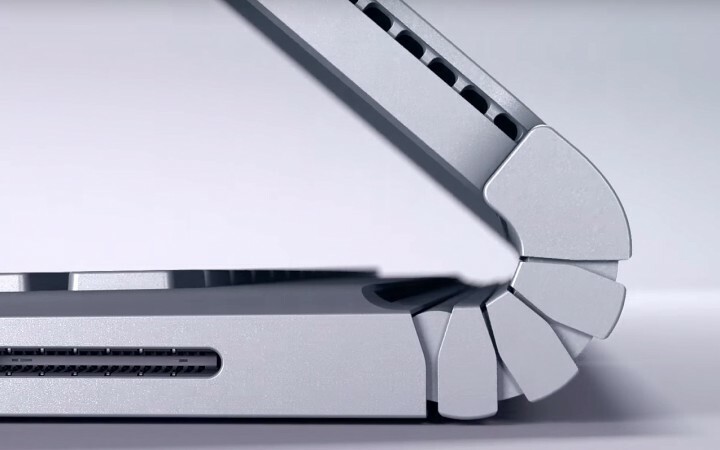 Microsoft have really made an exciting product which is going to be “the one to beat.” We will have to wait and see if the Surface Book can withstand the test of time, like the MacBook Pro already has. If the components are not up to scratch, then it won’t matter what it can do. HardSoft are a reseller for Apple and Microsoft, we offer both products on our Flexi- lease. Contact us today for a quick no strings quote or to discuss your business needs.